Ever since its introduction at the World Wide Developers Conference (WWDC) in June 2013, iBeacon technology is poised to be the most disruptive technology in recent times. 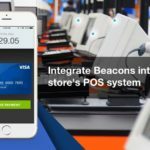 In fact, over the past year, beacons have started to make inroads into other verticals, particularly the payments and commerce space. Why retailers should focus on Proximity Payments? Javelin Strategy & Research’s new Mobile Proximity Payments Forecast 2015 report suggests that while 9% of online transactions are currently made on smartphones, mobile proximity payments (payments made via smartphones at brick and mortar stores) account for just 1% of all retail transactions. Though this data might make the market seem very small, experts predict the proximity payments market to take off over the next few years. 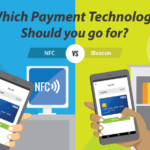 The recent developments in mobile payment infrastructure (especially beacon-enabled payments) combined with more and more retailers transitioning to contactless terminals and higher number of consumers opting for mobile payments, are some of primary factors that back this prediction. This Germany-based startup is working towards simplifying over the counter Bitcoin transactions by integrating the cash register with iBeacon technology. When a user walks towards the cash register, the beacon will suggest payments in bitcoins and even launch the user-preferred wallet service if desired. Thus, by eliminating the need for consumers to search for the correct app on their smartphone, Pey is helping make Bitcoin more accessible and commonplace in-person payment method. In fact, over 50 merchants have already jumped on board the Pey bandwagon. One of the reasons behind the huge popularity of this payment service is that, it provides merchants a better way to offer an added service, experiment with new technology and generate new customers with very little effort and risk. Last year, Digicash, a bank-led mobile payment scheme, expanded its QR-based mobile payments platform by launching new POS beacon devices that support NFC and BLE technologies. These Digicash beacons were first tested in Luxembourg by a few banks and convenience stores. This new feature was integrated with Digicash Apps that are issued by retail banks, thus allowing users to make payments easily. For example, when a customer holds his/her smartphone close to the Digicash Beacon, it automatically transmits the required payment-related data to his/her smartphone. Businesses across the London district of Brixton were recently equipped with beacons that allow residents to make mobile payments using the Brixton Pound, a local currency designed to encourage consumers to spend their money in independent local businesses. Though Brixton Pound was introduced as a paper-based currency in 2009, the service currently offers a mobile pay-by-text version that forms the basis of the new BLE service. As a part of this launch, during July last year, the Brixton Pound mobile app was made available to iOS device users thus enabling them to make transactions at all 250 businesses that accepted the local currency. In order to enable this new feature, both merchants and consumers were first required to sign up with Brixton Pound and register for an account. Once registered and validated, each customer’s Brixton Pound account will be linked to their app, thus enabling them to make payments in a matter of few seconds using the location information provided via BLE. This South Africa-based mobile payments startup that created quite a buzz with the launch of QR code payments feature back in 2013 recently announced the launch of a new payment channel called SnapBeacons. This new feature is meant to provide users a frictionless alternative solution at making payments, by allowing them to initiate the transaction via Bluetooth by simply tapping on a ’Pay Here’ button in the app. A message on the customer’s phone will alert them if the option is available at the retail store that they are at. 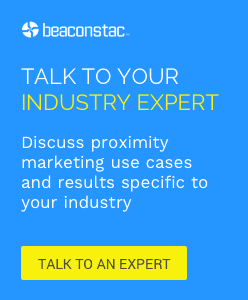 Are there any other payment services that are already using beacons to enables proximity payments? Let us know in the comments below.